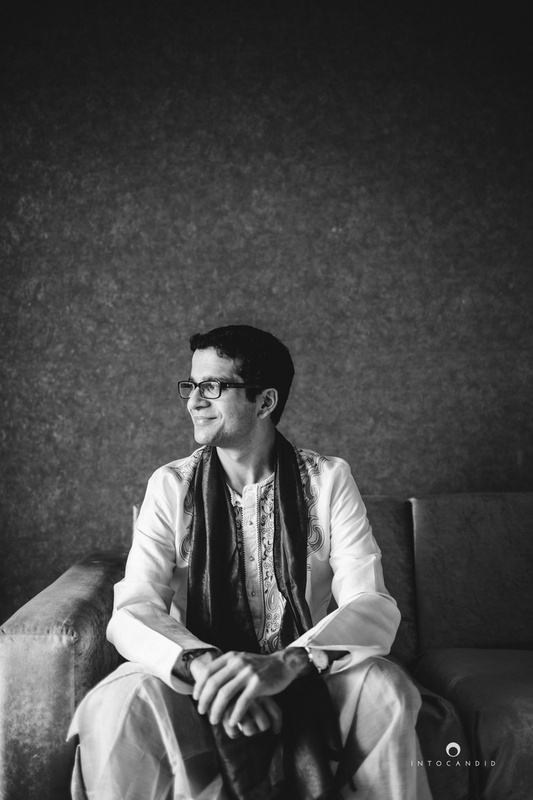 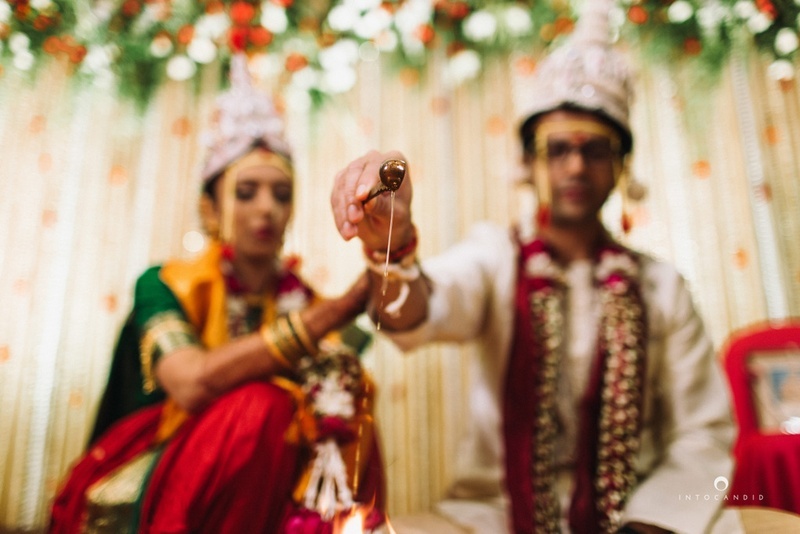 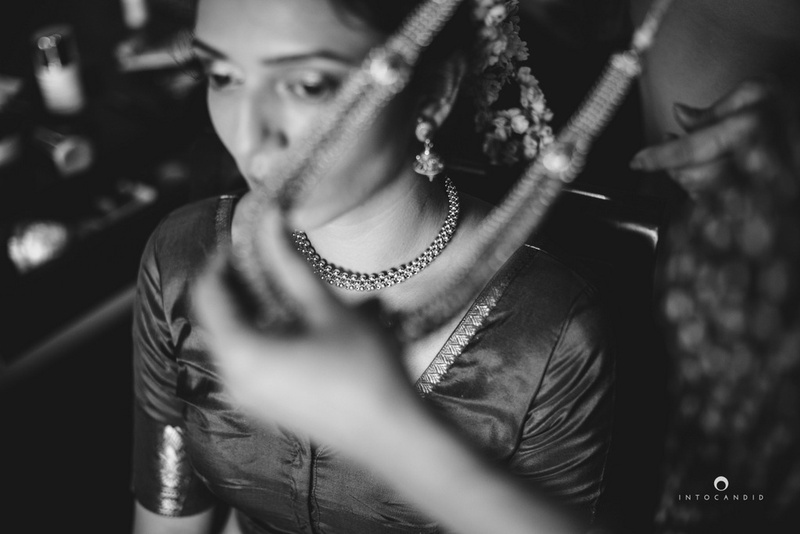 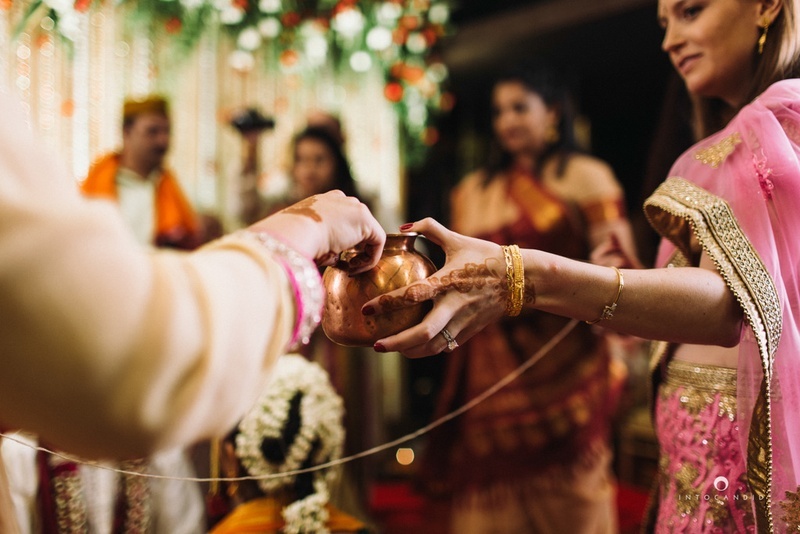 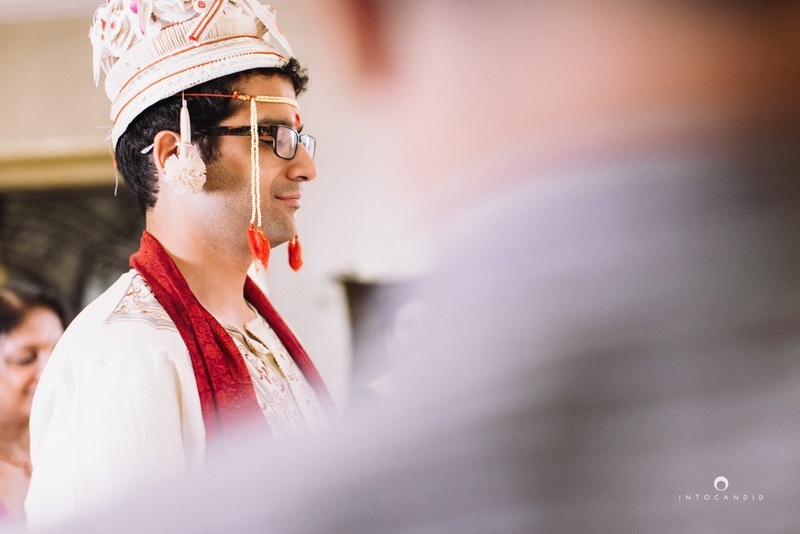 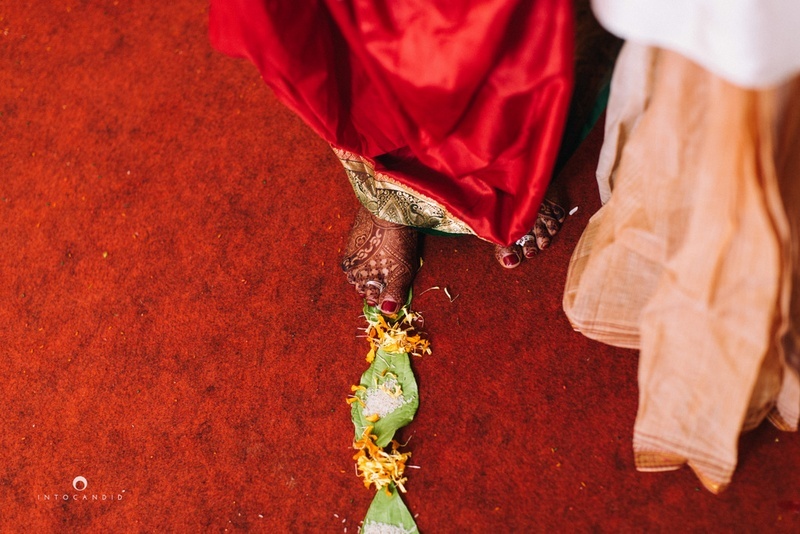 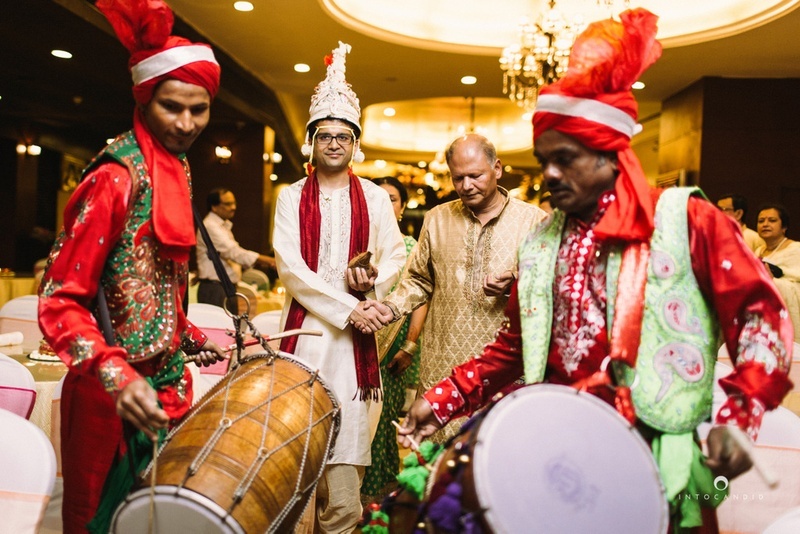 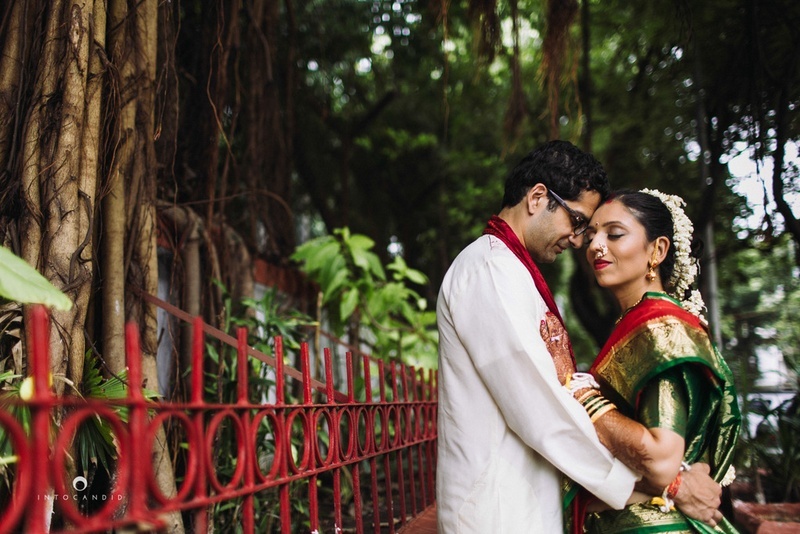 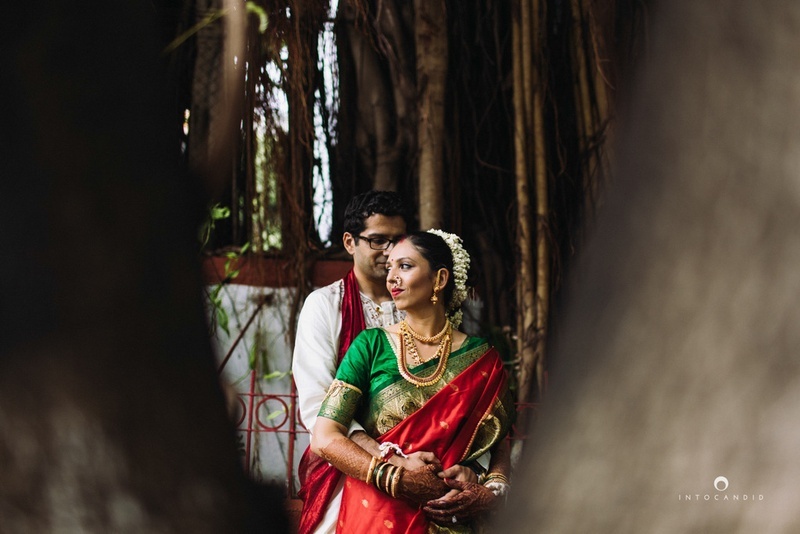 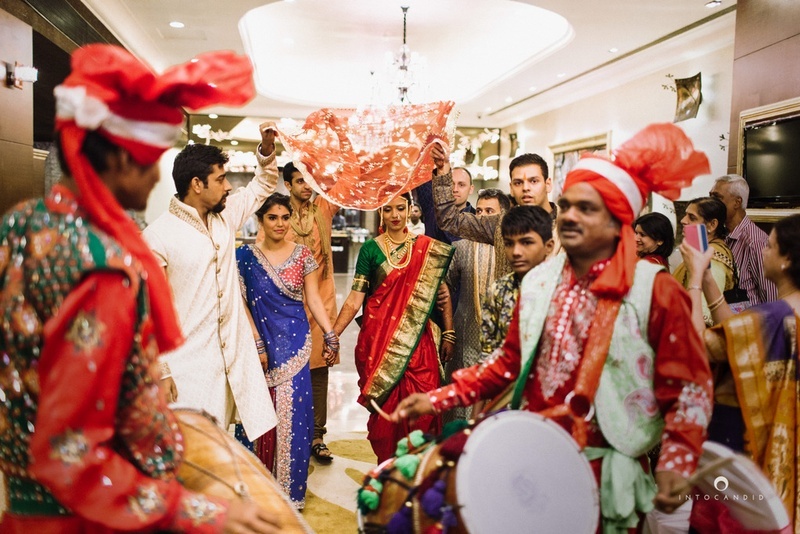 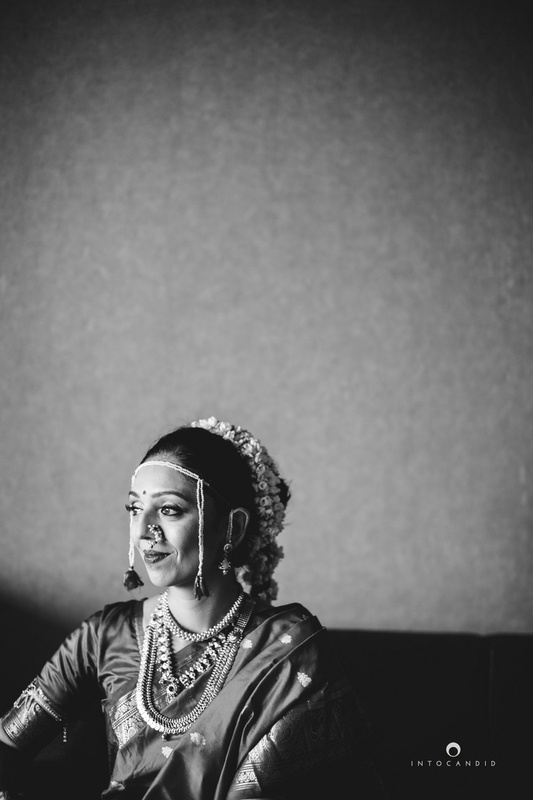 This beautiful wedding took place at MCA, Mumbai with a fusion of Bengali & Marathi rituals. 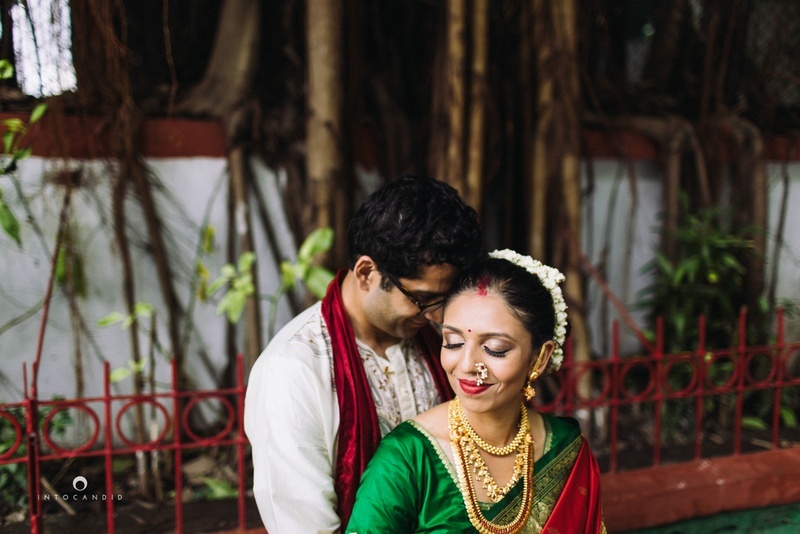 This beautiful wedding took place at MCA, Mumbai with a fusion of Bengali & Marathi rituals. 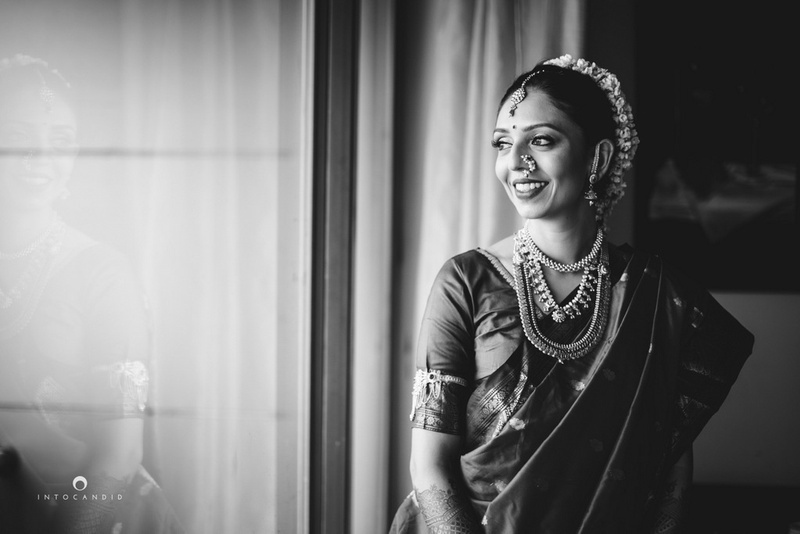 Shweta looked beautiful in a traditional Nauvari Saree. 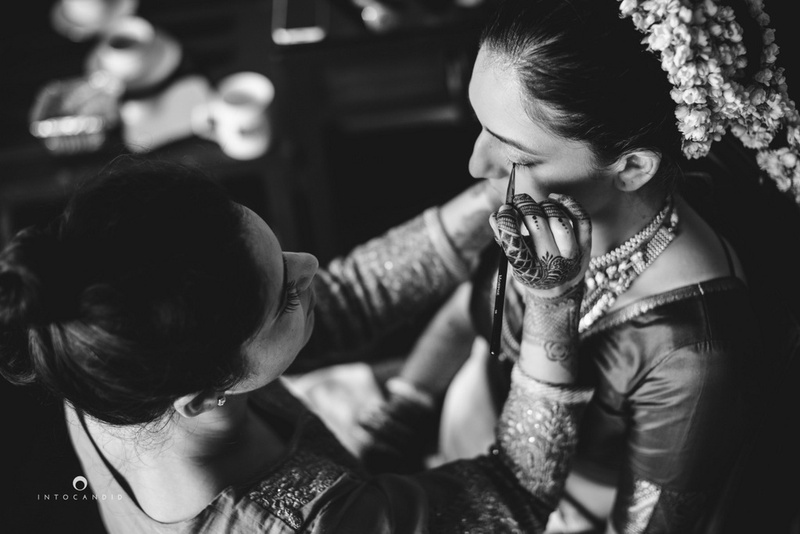 Her make up was done by her own sister, Priya who made her look absolutely stunning. 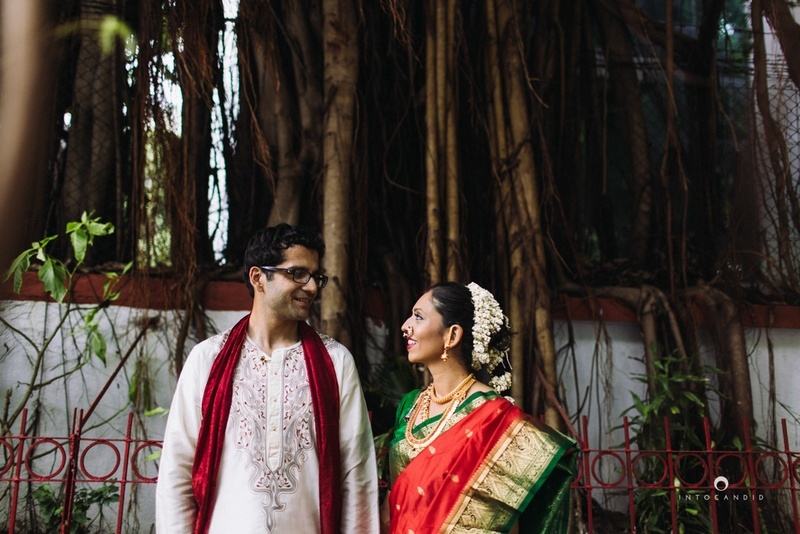 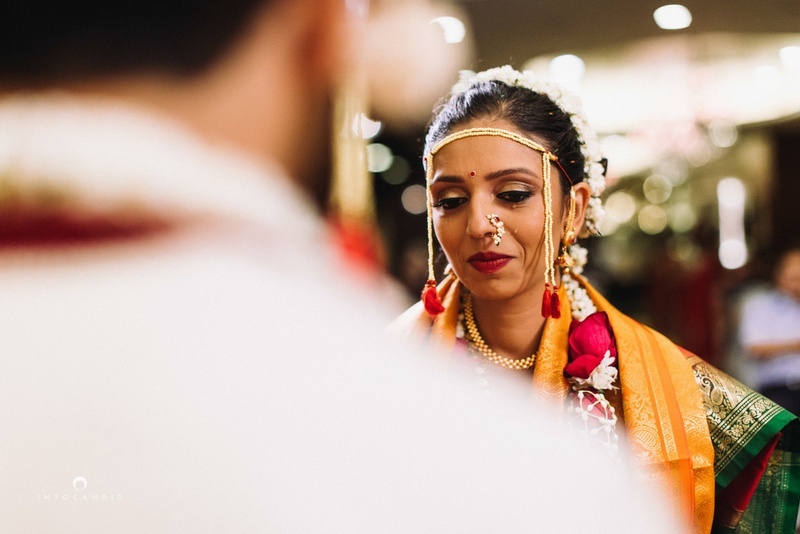 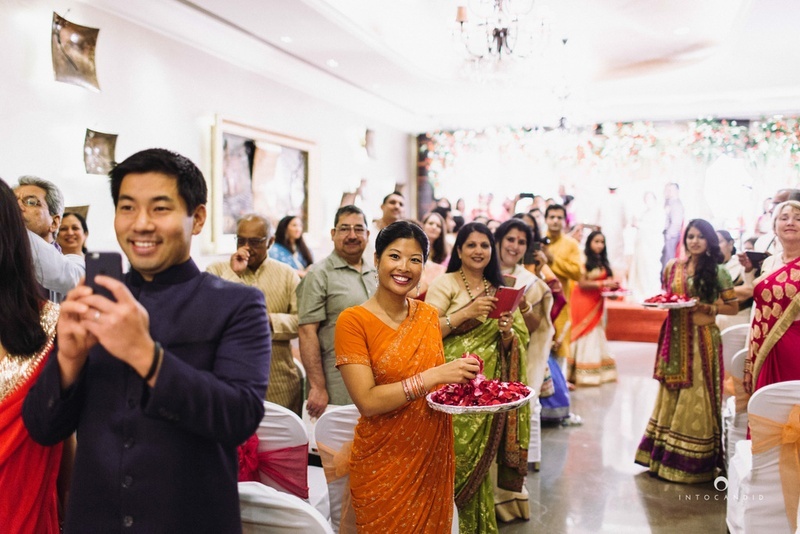 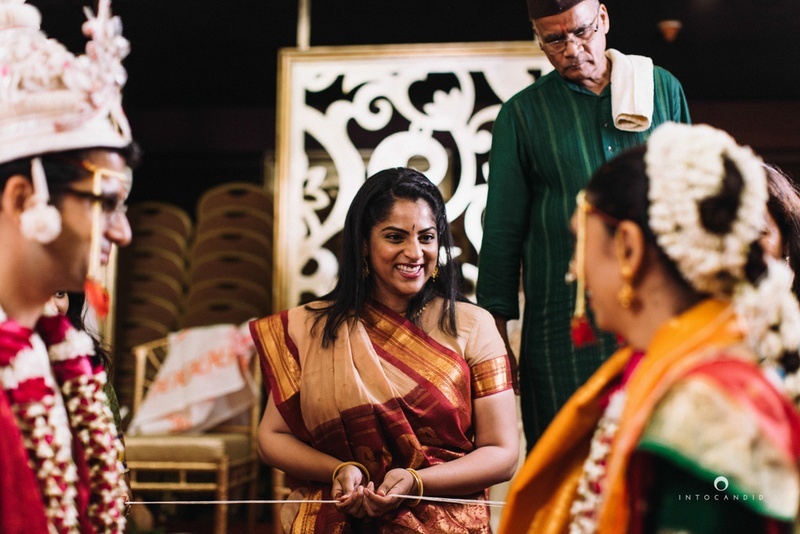 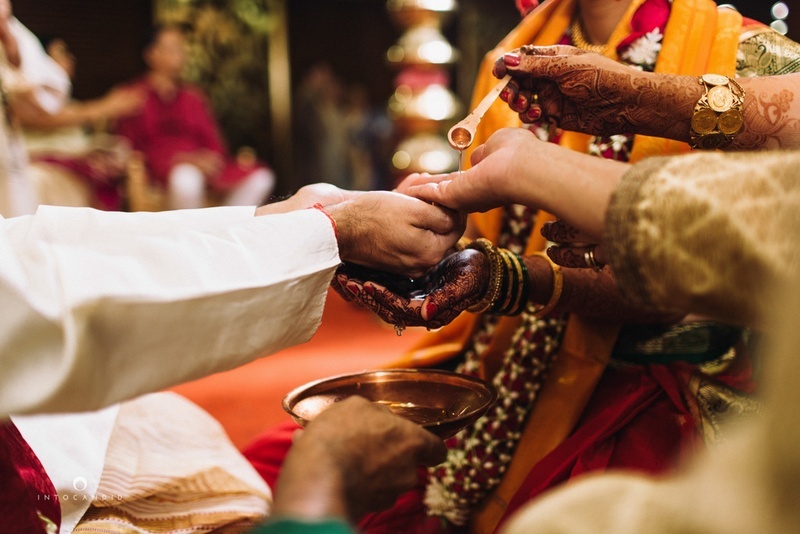 They both wanted to get married in India with their close family and friend, and that's exactly how they did it. 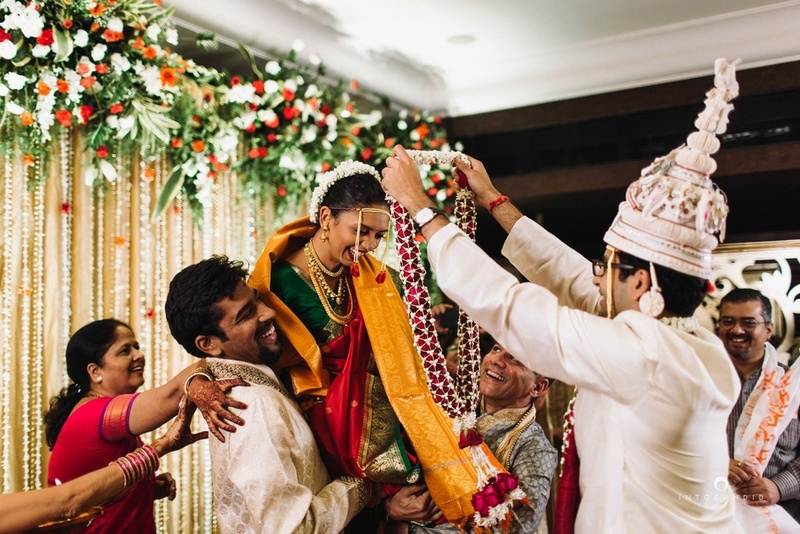 The entire event was amalgamation of happy, cheerful notes and a lot of love. 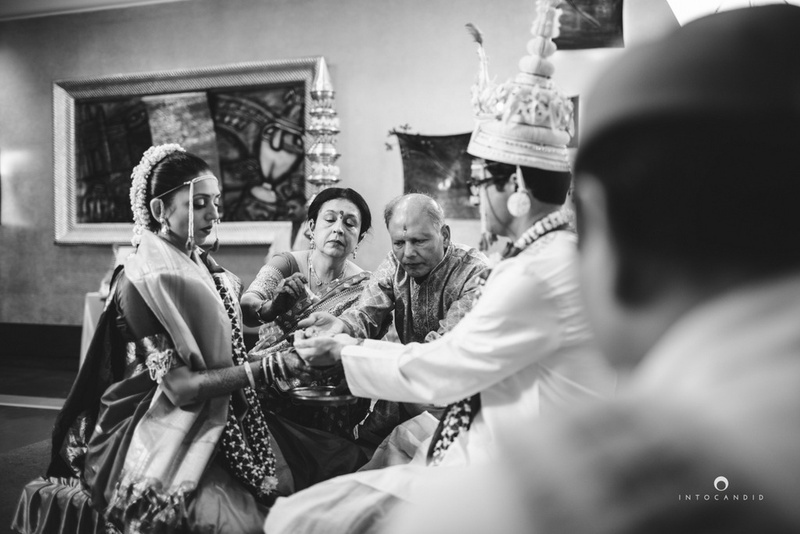 Scroll on to see the wedding moments! 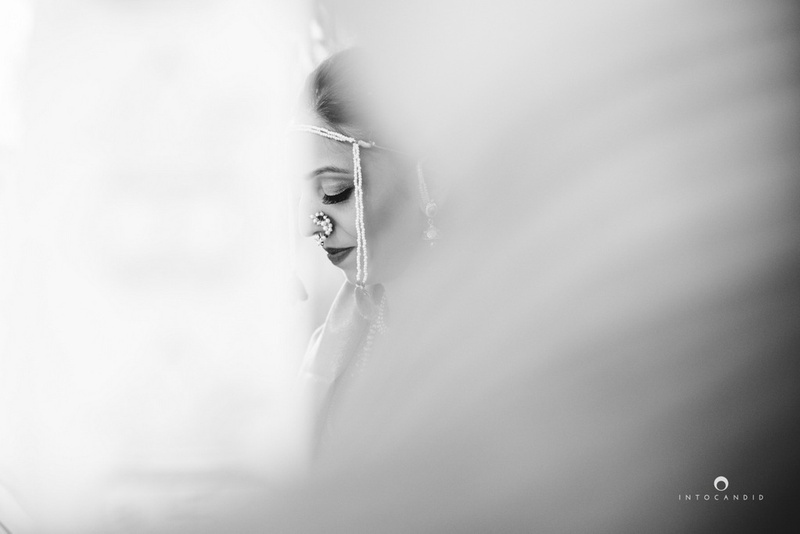 Photography by Into Candid Photography . 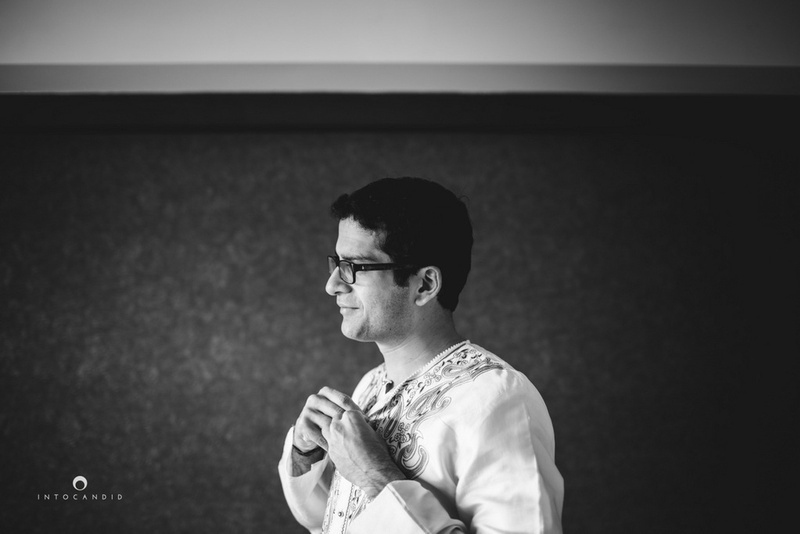 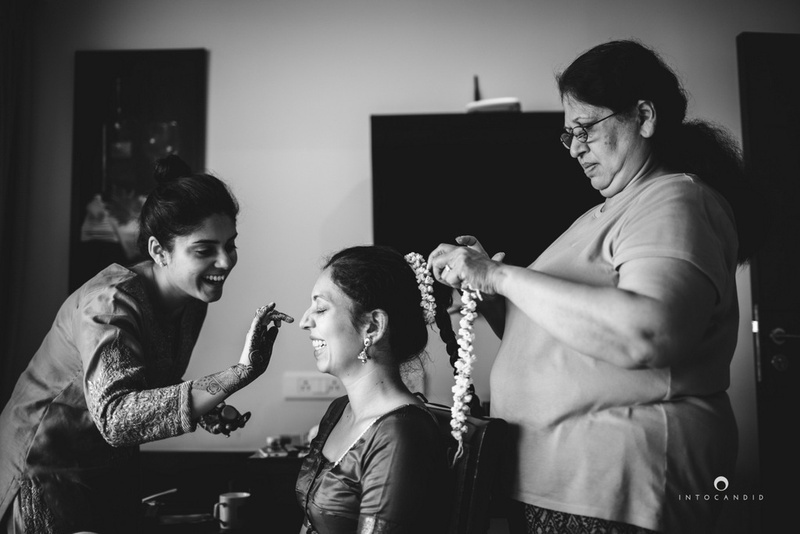 Black and white fun moments captured while bride is getting ready. 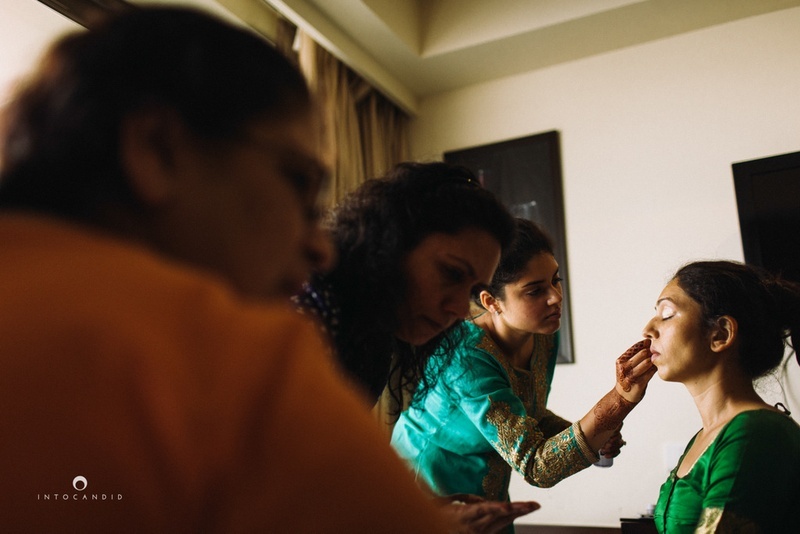 Bridal makeup by bride's siter, Priya! 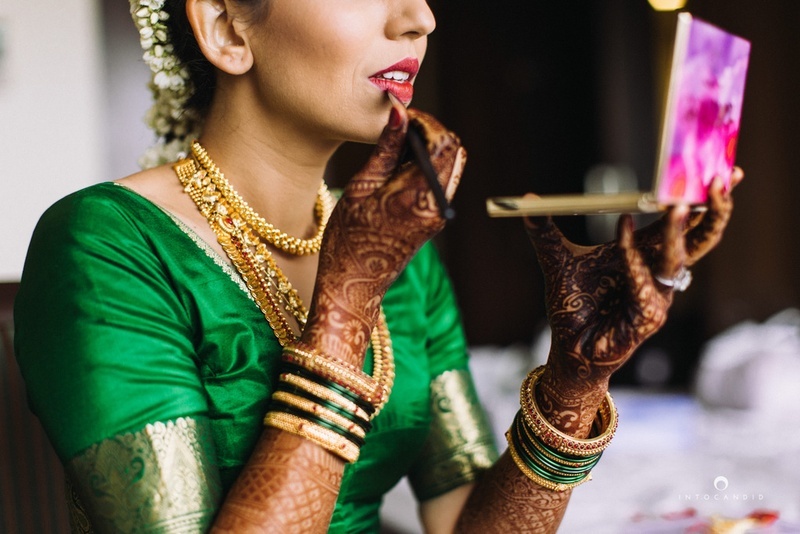 Bride's hands covered with intricate bridal mehendi designs. 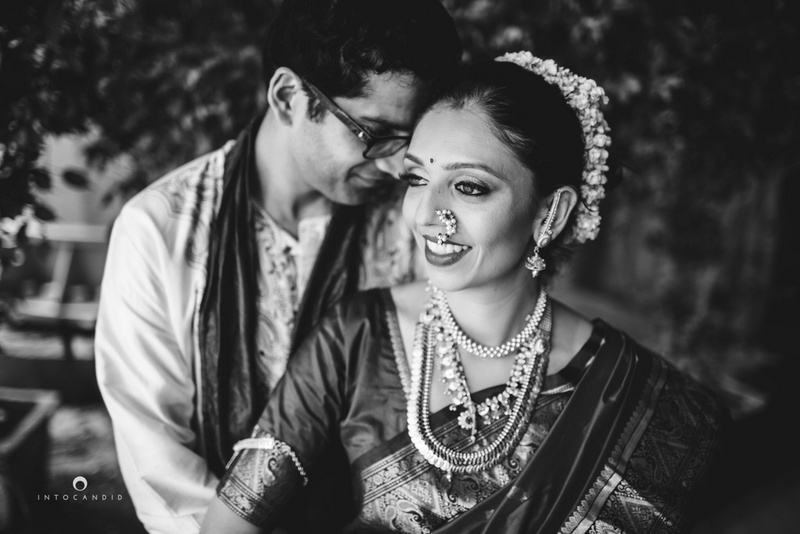 Brilliant photography by Into Candid Photography. 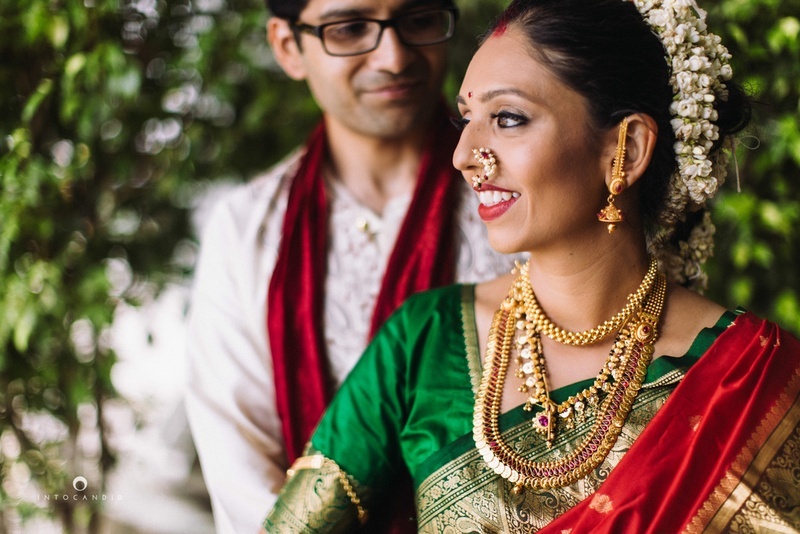 Red and green nauvvari saaree for the wedding day styled with beautiful gold temple jewellery. 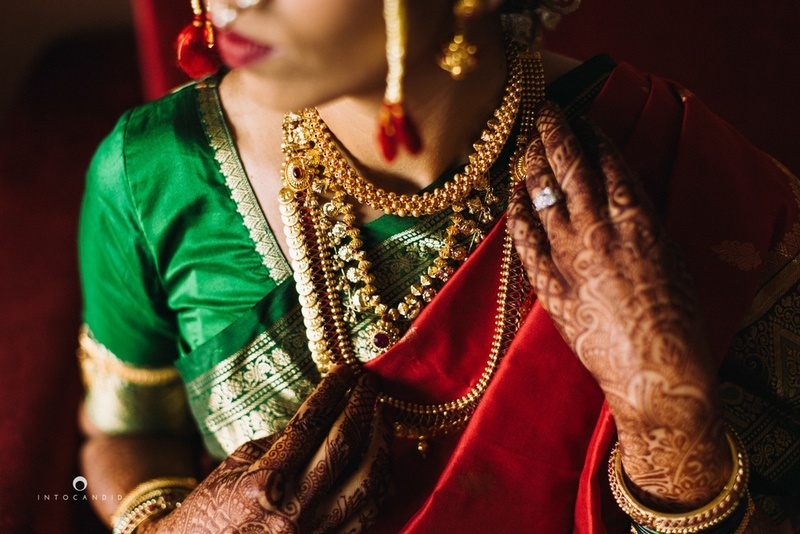 Decked up in beautiful maharashtrian jewellery. 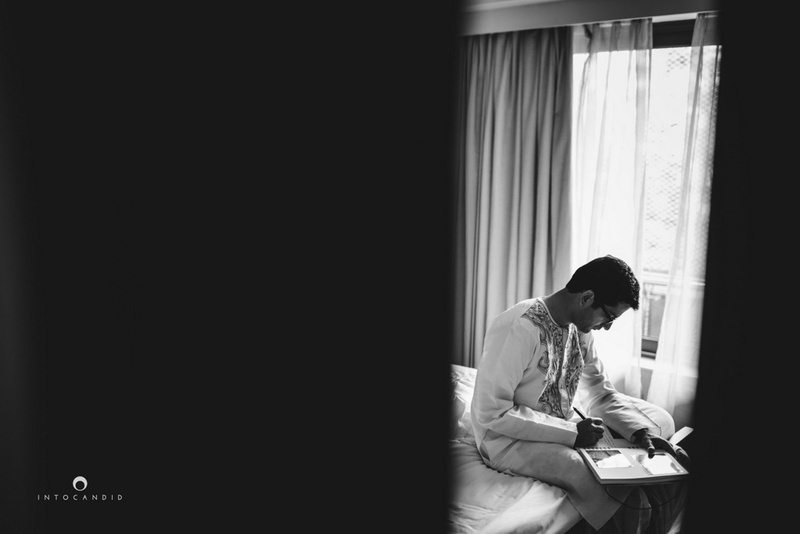 Wedding rituals shot brilliantly by Into Candid Photography. 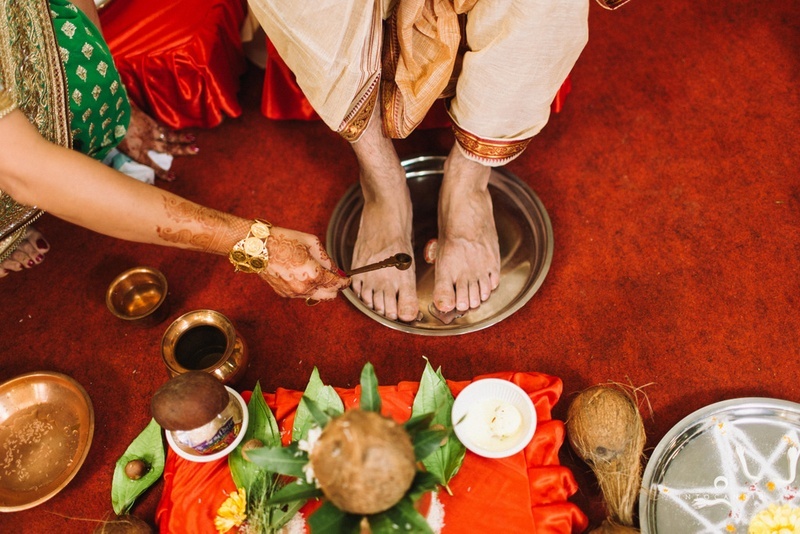 Varmala ceremony held at MCA, Mumbai. 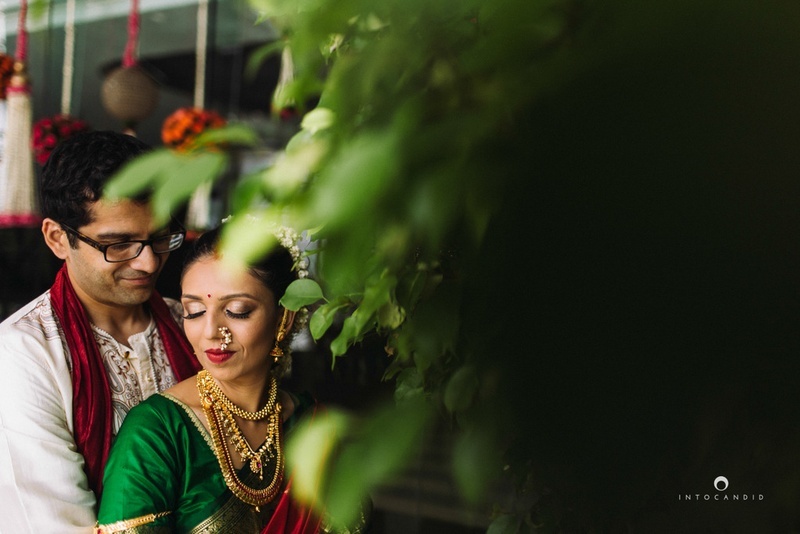 Beautiful couple shot captured by Into Candid photography.